I am familiar with college anxiety–I still occasionally have nightmares that I forgot my schedule, started picking classes late, went to the wrong classroom, forgot there was a test… you know what I mean! 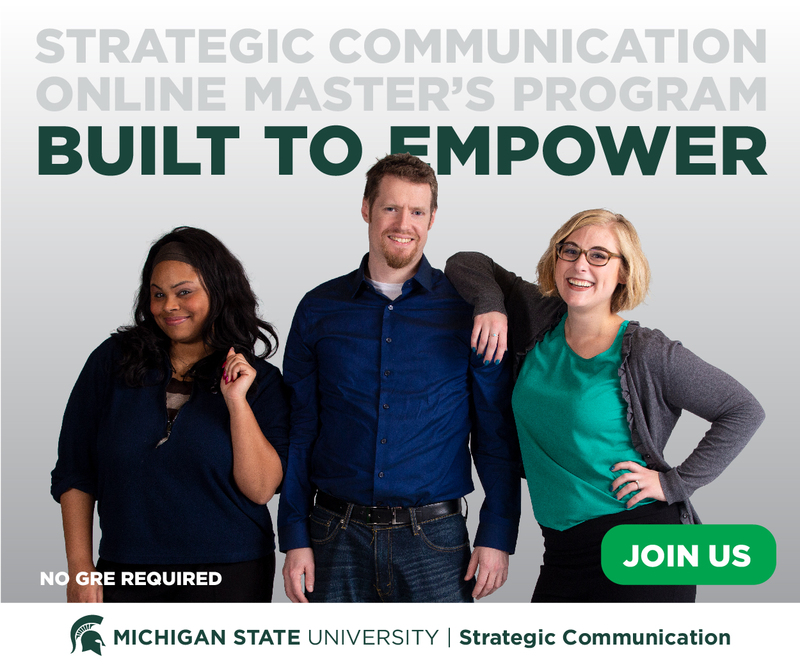 I realize that many of our students feel nervous about starting a new college program, but I can reassure them that their instructors and classmates will make sure their experiences in the Strategic Communication MA program never feel like those bad dreams. In the end, the fact that we are not all physically together doesn’t stop us from learning a lot and having a fun time doing it. Community-building in virtual spaces can be just as fun, reassuring, and helpful as an in-person experience. And since our virtual communities include animated GIFs… they might even better than in-person!